or the comfort of their home! New Haven Physiotherapy Clinic is a private Chartered Physiotherapy Clinic. We are located on the Dublin road in Drogheda County Louth. 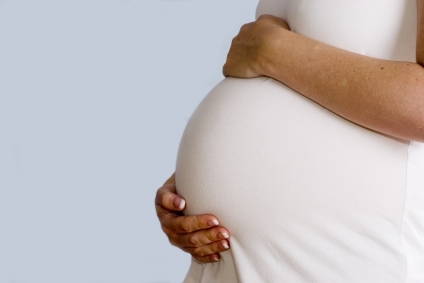 Our clinic is convenient to people in Drogheda, South Louth, Meath and Balbriggan in North county Dublin. Offer you the best physiotherapy services in a friendly, confidential, well equipped and healthy environment. Restore function by assessing your condition or injuries and providing the best individually tailored treatment or programme for you. You do not need to be referred for physiotherapy treatment. However we have strong links with GPs, Consultants and other healthcare providers should you require further investigations or specialist input. Our team of experienced Chartered Physiotherapists use the best up to date Physiotherapy techniques to treat all age group either in the clinic, school or the comfort of their home! 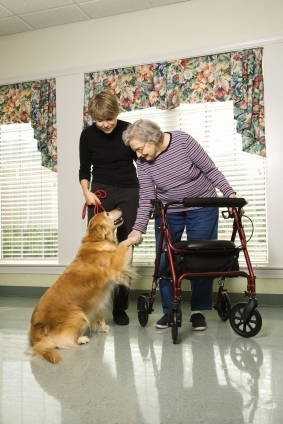 We also offer Nursing home coverage, Sports coverage and on-site workplace services. Gift vouchers are available for treatment including Massage therapy. Physiotherapy is a health care profession specialized in the treatment of various injuries and disorders using physical methods such as electrotherapy, exercise, manipulation techniques, mobilization, massage and stretching. A physiotherapist is highly skilled to assess, diagnose and treat various conditions, with the aim of maximizing function, promoting good health, maximizing movement and preventing injuries. Physiotherapy can be crucial in the recovery or management of conditions listed below. Massage therapy is the manipulation of soft tissues of the body such as the muscles, ligaments etc. It can be used as part of a treatment technique during Physiotherapy sessions or can be used on its own. It can also be used as a form of relaxation technique to relieve stress and stress related conditions such as headaches and much more. 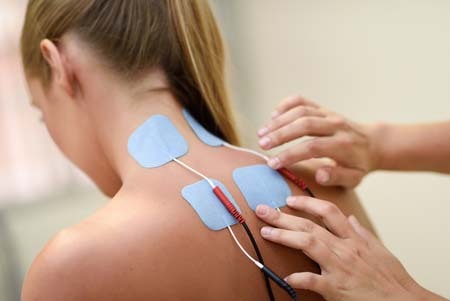 There are different types of massage techniques and our experienced Physiotherapists use the different techniques to suit individual needs. Gift vouchers are also available at the clinic for Massage. 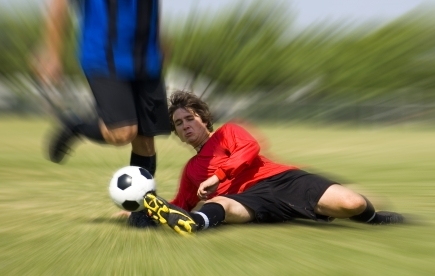 We offer physiotherapy services to nursing homes and cover sports events. Acupuncture is used in the management of disease and the maintenance of health. It involves the insertion of fine needles into the skin, this causes a release of natural pain relieving and healing chemicals stored in the brain. Acupuncture may be beneficial for people with Joint pains, Muscle pains, some Neurological problems and problems in relation to women health. Contact the clinic for more details. Assessment of clients, highlighting any areas of abnormality. And how it affects client's activities of daily living, work and leisure. 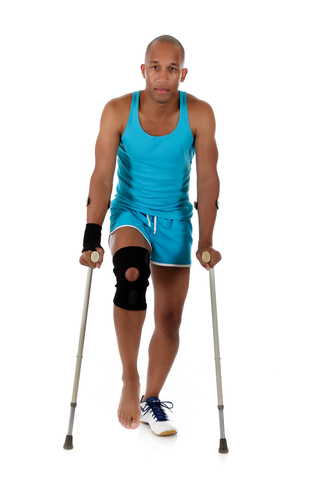 Diagnosis and prognosis of a client's condition and rehabilitation potential. Advice regarding appropriate referral to other health professionals if required. Consultation with counsel and report writing. Our reports can be produced within one week of initial assessment. Training on use of therapeutic aids e.g. splints, orthotics, suctioning equipment etc. Teach patients and carers home exercise programme. Training for therapeutic handling/positioning of patients. Manual handling training for carers and patients. Pre-employment screening to ensure safe placement and prevent work related injuries. Ergonomic workstation assessment and advice. Moving/handling assessment and training, to minimize job related injuries and chronic disabilities. Mobility aids and physiotherapy support. Conditions such as Juvenile Arthritis, Brachial Plexus injury, Torticollis (Wry neck), Clubfoot, Scoliosis, Postural back pain, Post fracture rehab, Muscles imbalance, and Joint pains are examples of conditions that we treat effectively with our physiotherapy technique. Asthma, Bronchitis and some other respiratory conditions improve with physiotherapy. The role of physiotherapy in these conditions may include, to clear the chest of secretions, improve air entry into lungs, improve normal breathing pattern and improve endurance level during physical activities. Problems associated with development, movement and coordination may occur in conditions such as Dyspraxia, ADHD, Cerebral Palsy, Autism, Prematurity, Seizure disorders, Down's syndrome etc. These impede the normal growth and interaction of a child. We customize treatment to the individual child's need, to help improve muscles function and development skills. To further stimulate a child, improve function and build self esteem through team work, we also run classes for different conditions and age groups. Please contact the Clinic for more details on our different kids classes. When required, we liaise with other health care professionals to provide optimum care for our clients and, we write detailed physiotherapy report for clients. We offer sports strapping, rehabilitation post surgery for sports injuries and, sports screening to prevent injuries and improve performance. Our team of Chartered Physiotherapist are experienced in the management of the above conditions. Work related injuries may occur from poor posture, repetitive strain, sudden injury etc leading to tendonitis, muscles and joint pain. Recovery is quick with physiotherapy treatment and advice. Multiple Sclerosis (MS), Stroke, Muscular dystrophy, Brain Injury, Paralysis from other causes and Parkinson's disease, are some of the conditions we effectively manage. We provide exercise programme to suit individual needs, give advice on walking aids, supports and splints. Home visit services are also available. Such as Cystic Fibrosis chest infection, COPD and some other respiratory conditions improves with physiotherapy treatment. Treatment helps to clear the lungs of secretions, improve breathing, increase exercise tolerance and quality of life. We even provide home visits if clients are unable to attend the clinic. Bunions, hammer toes, knock knees etc. Our team of experienced Chartered Physiotherapists will fully assess the biomechanical problem, treat and then provide orthotics if required. What can be done & why orthotics? Foot Orthotics are customized shoe inserts that help to prevent injuries and correct poor foot biomechanics problems. They help to realign the bone, stabilize the joints and improve mobility. In so doing, they allow the back, hips, knees, ankles and feet to function normally by reducing strain and pain. They also help to prevent long term joints and muscles problems listed above. In Children they also help to prevent common problems associated with growth spur. A Gait scan is an equipment used to assess where the problems are on your feet and lower limb. Results from the scan and thorough examination are then used to make your customized Orthotics. At our clinic we have the most recent computerized gait scan that can give us detailed analysis of the problem which then helps to guide our treatment techniques accurately and prescribe the correct orthotics if required. ALL OUR CUSTOMIZED ORTHOTICS HAVE A LIFETIME WARRANTY AGAINST BREAKAGE. What next? Do you have recurrent back pain, leg pain or pain in any part of your foot? CALL 041-9833684 FOR A FREE FOOT CHECK & GAIT SCAN!!! We offer rehabilitation post cardiac surgery, ENT surgery and debility due to prolonged hospitalization. Who will benefit from the classes? Children will be screened before they join the classes. This screening is to enable us identify specific areas of needs and to group children into suitable groups. MS is a disease affecting nerves fibres in the brain and spinal cord. It causes muscles weakness, spasms, reduced balance, tiredness and other problems. Majority of people with MS benefit immensely from physiotherapy. Contact us for more details. Increase energy levels & maximize potential. Information on disease pattern and support. Improve balance and prevent falls. All our classes are run by skilled and specially trained Chartered Physiotherapists. Type of treatment or services required. Duration of treatment or services. If services are at the clinic, school, home, sports field or workplace. New Haven physiotherapy Clinic is registered with all major medical insurers. Depending on your policy, you can claim back as much as 40 euro for each physiotherapy treatment session. We sometimes work with solicitors and case managers to provide physiotherapy services. We will liaise with the involved parties and settle your bills directly with them. Register your business or club with us and get 10% discount on all your physiotherapy treatment at our clinic. Registration is free. Do you want to pay for physiotherapy sessions for a friend, family or employee? Gift vouchers are available for physiotherapy treatment, Acupuncture and all our classes. Contact us for more details.